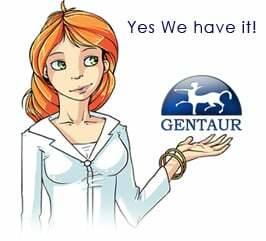 Gentaur antibody-antibodies.com The Marketplace for Antibodies : Total colourblindness is caused by mutations in the gene encoding the alpha-subunit of the cone photoreceptor cGMP-gated cation channel. Total colourblindness is caused by mutations in the gene encoding the alpha-subunit of the cone photoreceptor cGMP-gated cation channel. Total colourblindness (OMIM 216900), also referred to as rod monochromacy (RM) or complete achromatopsia, is a rare, autosomal recessive inherited and congenital disorder characterized by photophobia, reduced visual acuity, nystagmus and the complete inability to discriminate between colours. Electroretinographic recordings show that in RM, rod photoreceptor function is normal, whereas cone photoreceptor responses are absent. The locus for RM has been mapped to chromosome 2q11 (ref. 2), however the gene underlying RM has not yet been identified. Recently, a suitable candidate gene, CNGA3, encoding the alpha-subunit of the cone photoreceptor cGMP-gated cation channel, a key component of the phototransduction pathway, has been cloned and assigned to human chromosome 2q11 (refs 3,4). We report the identification of missense mutations in CNGA3 in five families with RM. Homozygous mutations are present in two families, whereas the remaining families show compound heterozygous mutations. In all cases, the segregation pattern of the mutations is consistent with the autosomal recessive inheritance of the disease and all mutations affect amino acids that are highly conserved among cyclic nucleotide gated channels (CNG) in various species. This is the first report of a colour vision disorder caused by defects other than mutations in the cone pigment genes, and implies at least in this instance a common genetic basis for phototransduction in the three different cone photoreceptors of the human retina. Molecular genetics of color-vision deficiencies.